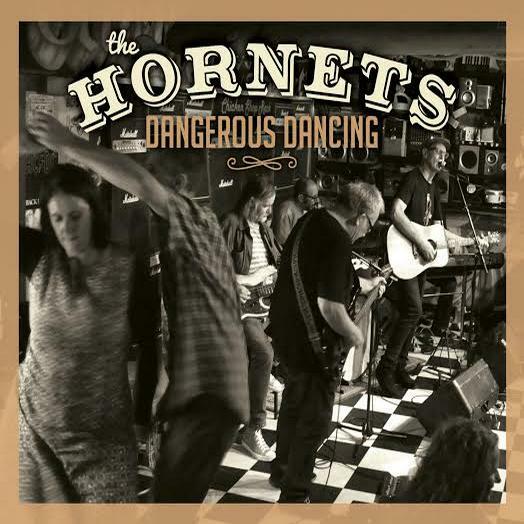 “Dangerous Dancing” is the legendary Melbourne blues and roots band The Hornets sixth album. When Robert Johnson wrote about squeezing his lemon until the juice ran down his leg, he wasn’t talking about fruit. The theme and title of the album is a reference to the current dangerous dance of climate change denial by politicians and business elites; a dramatic topic played with a relentlessly goodtime feel by a band made up of Australian rock and roll royalty. The Hornets, described by The Age Newspaper as “Melbourne’s best blues band,” feature a who’s who of Australia’s blues and roots music scene from the past four decades; including guitarist and Black Sorrow Jeff Burstin, Daddy Cool’s Wayne Duncan, Paul Kelly and Renee Geyer’s keyboardist Bruce Haymes and Andrew Ogburn from Chris Wilson also on keys, plus the Bad Love’s drummer Chris Tabone and singer songwriter Craig Horne. 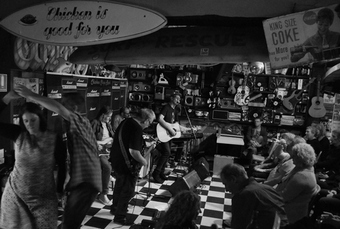 Read about the bands latest adventures, including details and sound bites from our new record Good Stuff, out through Black Market Music. Find out where we are performing, festival, and gig gossip as well as viewing our latest photos and videos. Hope you enjoy the new space and don’t forget to post your comments to our email address and check out The Hornet’s on Myspace. The Hornets. Blues at its best.